Ryan is from Richmond Virginia and attended college here in Knoxville Tennessee. He is married to his beautiful wife April, they have one daughter and reside in Knoxville. 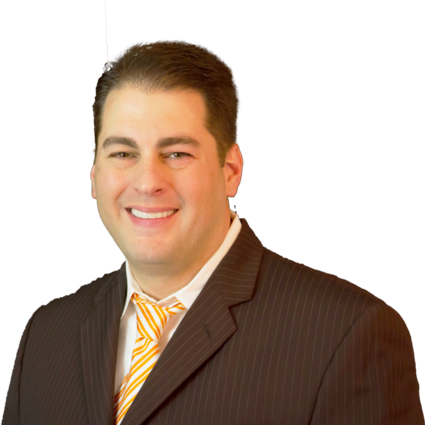 Ryan is a highly trained, knowledgeable Real Estate Broker and Investor (owning both Residential Investment & Commercial Real Estate). For over 18 years, Ryan has spent much of his time helping buyers and sellers find their perfect dream home, devoting his personal attention during the entire transaction until and beyond closing. Ryan Coleman is, by far, the most professional and knowledgeable Realtor I have ever had the pleasure of building a relationship with. I say building a relationship rather than 'worked with' because the relationship you build with him is the forefront of his priorities. Ryan and his absolutely amazing wife, April, provided infinitely more than I ever expected. The guidance I received was as valuable as the profit we made from our home! Coleman is a Realtor who can bring dreams to reality. He uses the latest technology available in the field for his clients who prefer it. I couldn't believe how convienent it was to receive all of the data and showing times (through email AND even text). The reports he provided were accurate and, honestly, nicer than ANY other document I've ever seen from a Realtor. If you want to buy or sell, Ryan and April make it happen. The individualized attention and detail they provide is unbelievable! Don't make the mistake of choosing anyone else!! The Ryan Coleman team is our team for life! Loved my experience with Ryan and April Coleman. They were very positive and upbeat and sold my home in a timely manner. They made the whole process much easier and less stressful than I anticipated. I wouldn't hesitate to use them again in the future for other real estate needs. I highly recommend Hometown Realty.